Pooch Selfie: Better Pics and Selfies with your pup! 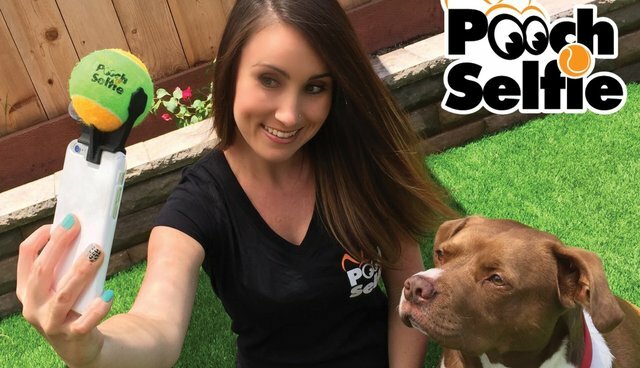 Pooch Selfie is the smartphone attachment which helps dog owners take that perfect picture or selfie with their dog. Pooch Selfie was created by the inspiration of my wife and 2 dogs. She absolutely loved taking pictures of them, and I mean A LOT. One day when she was trying to capture a selfie with our Logan, the idea just hit me. That was the day Pooch Selfie was born It took me about a year to bring this project into the public. It is now published on Kickstarter for the world to see. Come take a look! I hope the video captures some smiles.